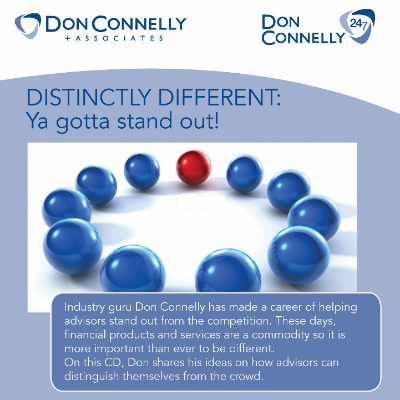 In his CD, “Distinctly Different: Ya Gotta Stand Out”, Don Connelly shares his ideas on how Advisors can distinguish themselves from the crowd. He has made a career of helping Advisors stand out from their competitors. These days, financial products and services are a commodity so it is more important than ever to be different. 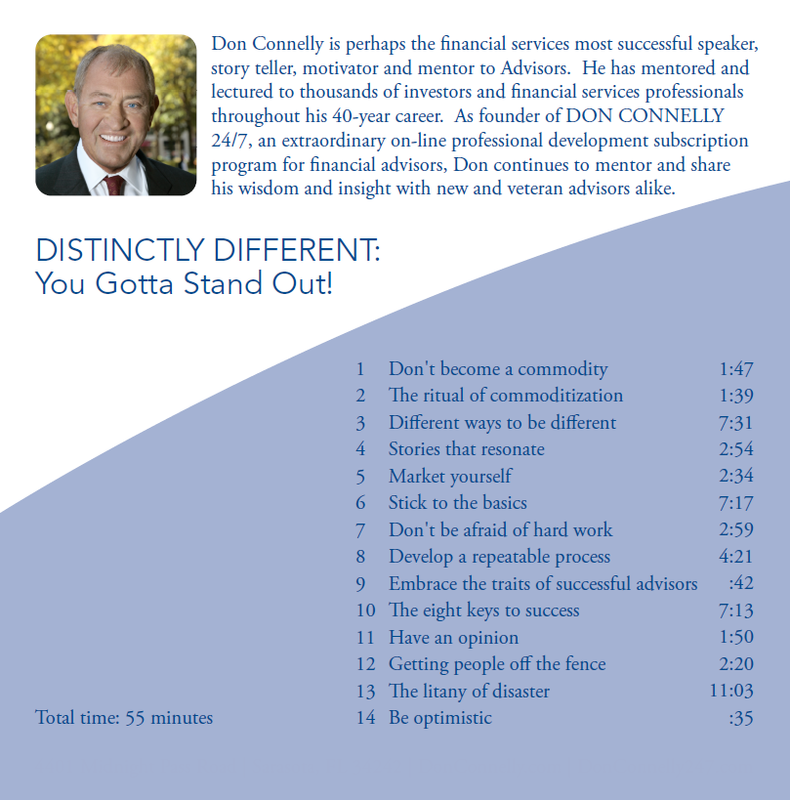 In this CD Don Connelly shares his ideas on how Advisors can distinguish themselves from the crowd. He has made a career of helping Advisors stand out from their competitors. These days, financial products and services are a commodity so it is more important than ever to be different. Once you place your order and complete your payment, you will be shown your order details on the screen with 2 download links – 1 link to the mp3 file plus a PDF file with the track list and timing of the recordings. You will receive the same order details via email.